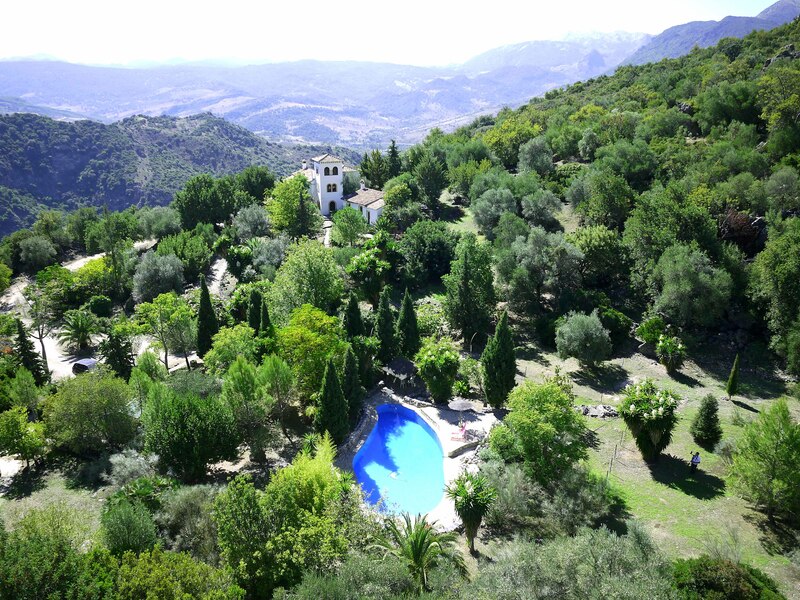 Feed your body, mind and soul at this rejuvenating yoga retreat in Spain. Set in one of Spain’s most treasured nature reserves this secluded haven offers you the opportunity to take some invaluable time out and focus on a happier, healthier you. Whether you are a total beginner or have been practicing yoga for many years, your feeling of total well-being here will be just the same. Yoga classes of varying styles will be held twice a day leaving you plenty of time to relax with a good book by the pool or explore the wonders of the surrounding nature reserve and villages. Complementing your twice daily yoga classes will be interactive “Yoga 101” sessions to help you delve a little deeper into your yoga, breaking down and refining poses and asking some of those questions you’ve always wanted to but were too shy to! Two beginner to intermediate level yoga classes offered every morning and evening, with all levels of experience welcomed. Optional “Yoga 101” sessions helping you break down and refine poses, answering some of those questions you may have been too shy to ask before. A range of yoga styles and practices including: hatha, vinyasa flow, yoga nidra, pranayama breathwork and meditation. A return to nature with hikes in the mountains, swims in the pools, tennis in the grounds and other activities available for you to book such as biking, kayaking, and horse riding. Three vegan meals every day with fresh, locally sourced produce and the all the delights of Mediterranean home cooking. Replenishing massages from our in-house holistic therapist, Kerry Wright, offering a range of treatments including Indian head massage, relaxing full body massages and sports massages. 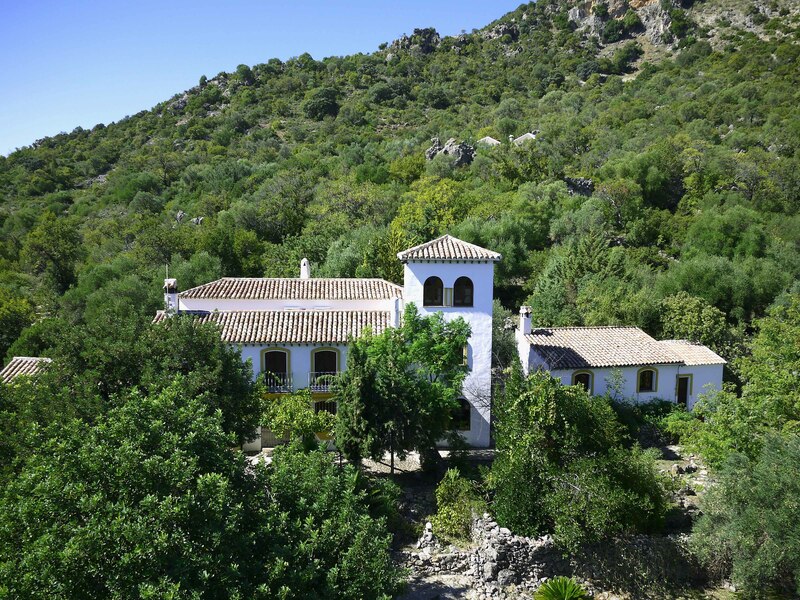 A secluded haven all of its own, this idyllic hacienda rests in over 60 acres of land in the heart of Grazalema nature reserve. This spacious hacienda comprises of various accommodation options: the main house, El Cortijo, a ranch house, El Rancho, as well as a handful of private villas. 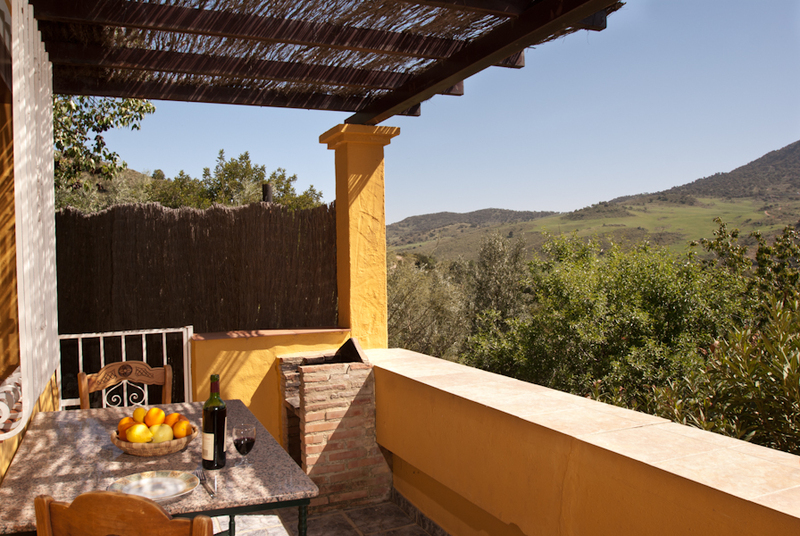 The main house, El Cortijo, has double room and twin rooms, a communal sitting room, dining room and scenic veranda and access to the four swimming pools available to us onsite. 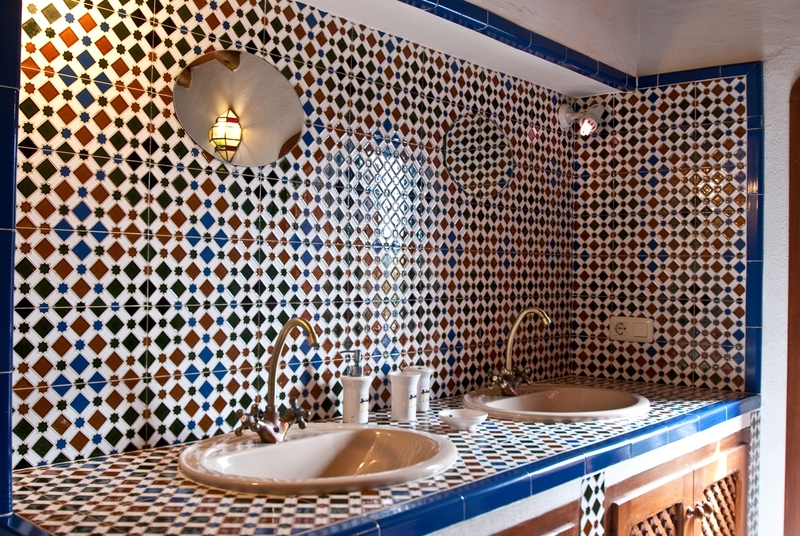 The a ranch house, El Rancho, has a double and a twin room, a shared bathroom, kitchenette and pool. 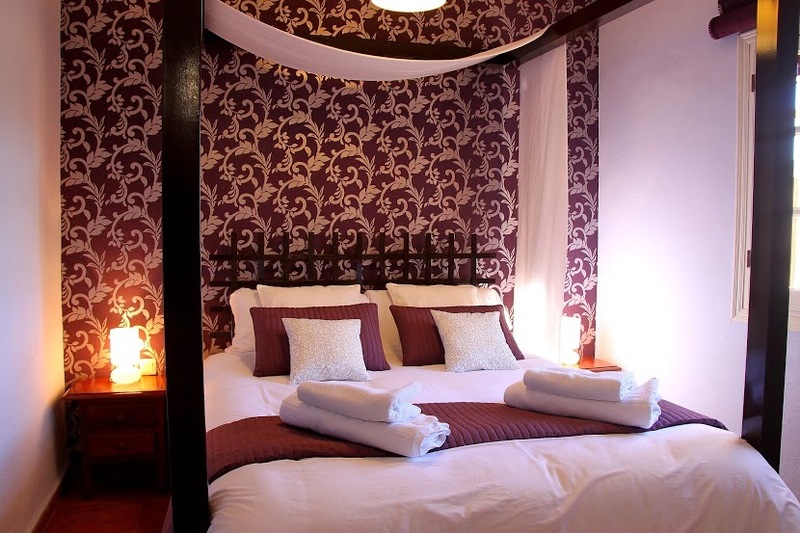 And, the spacious private villas are all ensuite with their own living area, double bedrooms and a kitchenette. Each villa has its own unique offering: some with private terraces overlooking a breathtaking ravine, some more secluded than the rest, and one even has a private pool. 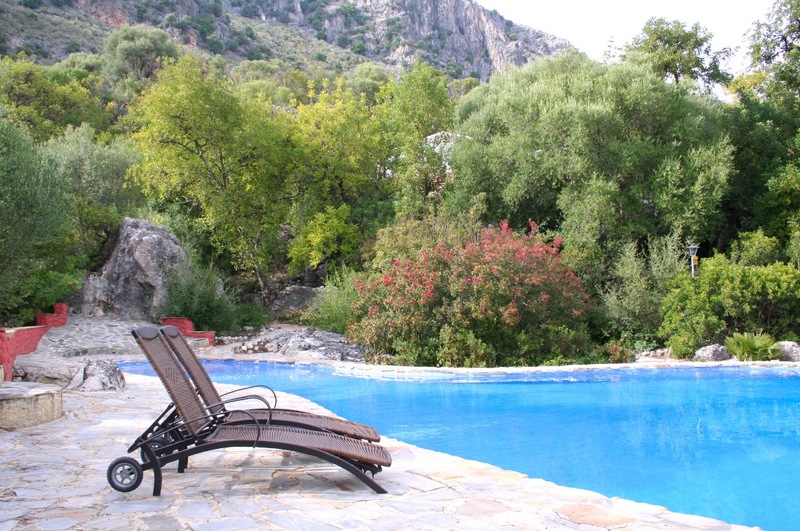 Surrounded by views of the mountains, you will be completely immersed in nature. This is a retreat in every sense of the word although, for those of you who want to keep in touch with the outside world, there is free wifi available. 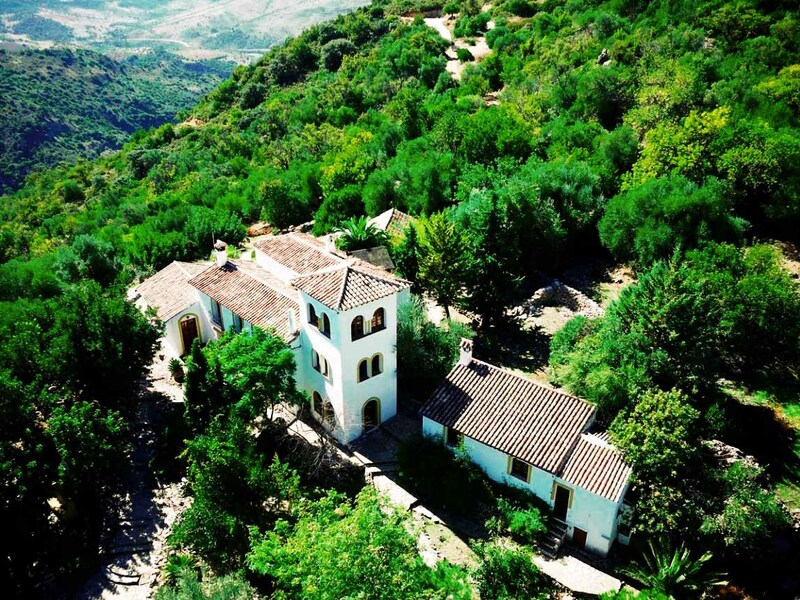 The hacienda is 2.5 miles / 4 km (a 30 minute walk) from the town El Gastor, a hilltop village known locally as the balcony of The White Villages of Cádiz, and situated in the Sierra de Grazalema nature reserve. The reserve is Andalucia’s first natural park and has been a UNESCO biosphere reserve since 1977 revered for its limestone cliffs, gullies, caves and gorges as well as its griffon vulture colonies. Our yoga classes will be held in a fully equipped yoga studio twice a day and are open to everyone – beginners and intermediate yogis alike. We will be practicing a range of styles and practices including: hatha, vinyasa flow, yoga nidra, pranayama breathwork and meditation. In addition to these classes will be a optional “Yoga 101” sessions helping you delve a little deeper into your yoga, break down and refine poses and ask some of those questions you’ve always wanted to but were too shy to! Run by Krishna Hassomal and Emma Macdonald for the third time, you will have the benefit of two experienced and professional yoga teachers guiding you through your daily practice. They each bring with them their own authentic styles but are united by the belief that yoga is there to be enjoyed by everyone and always ensure their students feel welcomed in their classes no matter what level of experience they have. You can find out more about my teaching style in the other sections of this website. Krishna meanwhile is Indian and was born and brought up in Spain. Her first yoga class was in her teens in 2001. This was a huge struggle and she needed her mother to drag her to it! Her reluctance very quickly disappeared when she realised there was something special about this discipline. Her love for yoga grew, and in 2012 she completed her first 200 hour Teacher Training course whilst pursuing a career in science. She hasn’t stopped studying and teaching yoga since. Her classes are mainly Hatha and Vinyasa Yoga, with Anusara and Iyengar influences. She has an experimental and light-hearted approach and makes her classes suitable for all ages and abilities. Krishna combines her eastern and western background, and focuses on blending alignment, breath and asana. Five nights in one of Spain’s most treasured nature reserves. Two yoga classes a day (morning and evening) of varying styles suited to both beginners and intermediate practitioners. “Yoga 101” sessions helping you break down and refine poses, finally answering some of those questions you may have been too shy to ask before. 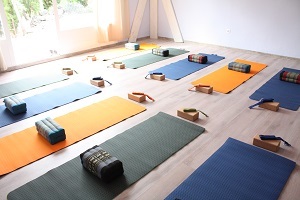 Yoga mats and props in a dedicated yoga shala. A four to five hour guided hike through the national park. Three vegan meals specifically designed to complement your yoga schedule every day. Flights – EasyJet, Ryanair, Monarch and Norwegian run cheap flights from the UK (more on this in our FAQ section). Airport transfers – Transfers are not included in your booking but we are happy to help arrange them for you. The price will be dependent on the number of travellers. Should you like to take advantage of this please let us know your flight details as soon as you can. Additional activities – there are all kinds of cultural and outdoor activities that you can get involved in from horse riding, biking, guided hikes, kayaking and more. These activities will be charged separately allowing you to choose the ones you prefer. In-house massages – these can be booked when you arrived at an additional cost. Make use of our Early Bird Discount by booking before 11th June 2019. 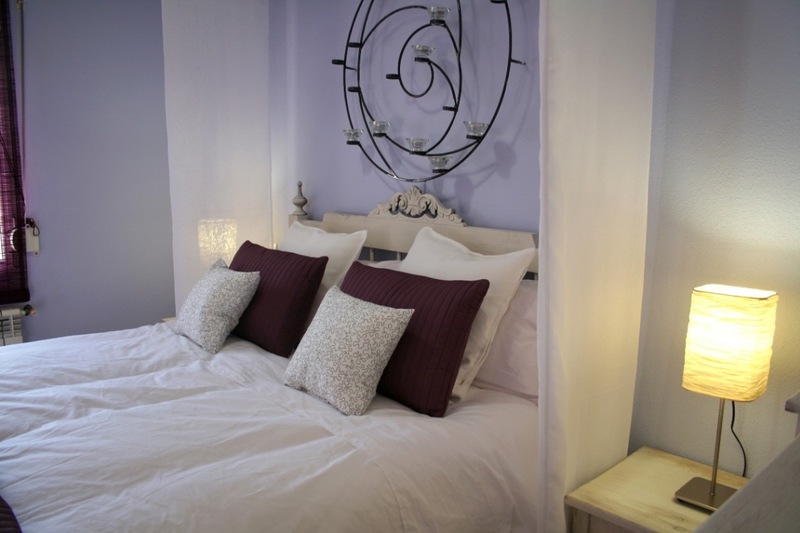 Triple occupancy is also possible, please contact us about rates. Are activities included in the yoga retreat? Yes. As well as two daily yoga classes and the optional “Yoga 101”, you can take part in a guided hike through the nature reserve, and enjoy one of the many swimming pools and even play some tennis. All of these activities are included in the price of the retreat. Additional activities (such as horse-riding, kayaking or even a visit to a local olive oil factory) can be arranged separately for an additional fee allowing you to choose the ones you prefer. Once you arrive, we can arrange these for you. Is there a check-in and check-out time? We can be fairly flexible on this but will be working to a check-in time after 2pm Friday 11th October and check-out by 12pm Wednesday 16th October. Please let us know if you will need any adjustments to these times and see the points below about transfers and flights. Which airport should I fly to? Malaga airport is the best airport for international flights and EasyJet, Ryanair, Monarch and Norwegian Air run cheap flights from the UK to here. 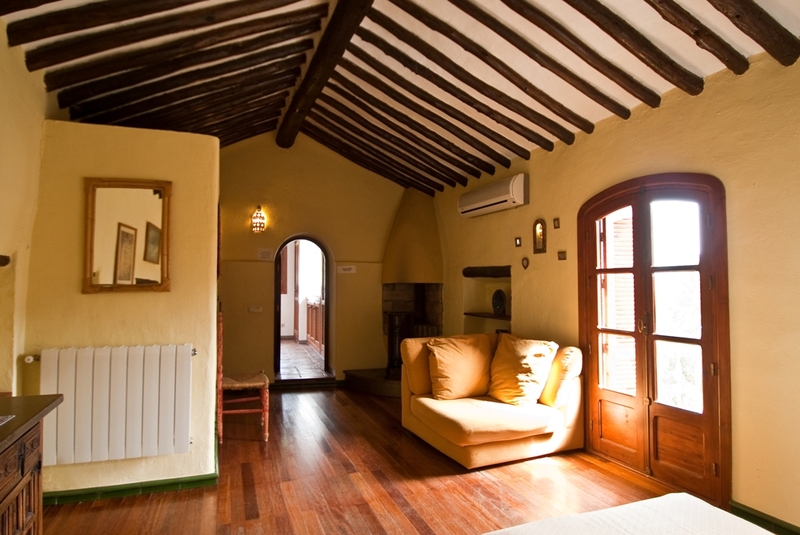 The retreat is two hours away from Malaga airport. How can I get to the yoga retreat from the airport? Transfers are not included in your booking but we are happy to help arrange them for you. The price will be dependent on the number of travellers. Should you like to take advantage of this please let us know your flight details as soon as you can. Can you cater for dietary requirements? Absolutely. Three vegan meals will be provided each day and as long as you let us know before your arrival, we can make the necessary arrangements to accommodate dietary needs. Please refer to our terms and conditions for further information about our cancellation policy. What should I bring? The weather should be warm and fairly mild at this time of year with expected highs of 260 and lows of 170. Bring comfortable clothing for practicing yoga and walking, trainers or walking shoes for the hike, a swimsuit, beach towel, hat & sunscreen. Krish Yoga/The Yoga Pause are delighted to welcome you on this yoga retreat and ask that you read the following carefully. By reserving your place on our retreat, you are confirming that you agree to and accept the following terms and conditions. A 50% deposit is required to reserve a place on this retreat and the remaining 50% retreat payment must be paid 30 days before the retreat starts. You will receive an email receipt confirming both payments have been received. The retreat price must be paid in full, regardless of any third party charges or changes in currency. Any potential banking transfer fees must be paid by you. Please note, we cannot refund you in full or part payment should you need to leave the retreat early at all. And, as with your deposit and full payment, any third party fees or changes in currency will be payable by you. Occasionally Krish Yoga/The Yoga Pause may need to make changes to the retreat e.g. class times or yoga teachers, and we reserve the right to do so at any time. In the case of accommodation changes we will do everything possible to offer you a room of a similar category to the one you booked. Krish Yoga/The Yoga Pause also reserves the right to cancel the retreat, and in the unlikely event of having to do so will refund your deposit and/or retreat payment in full. 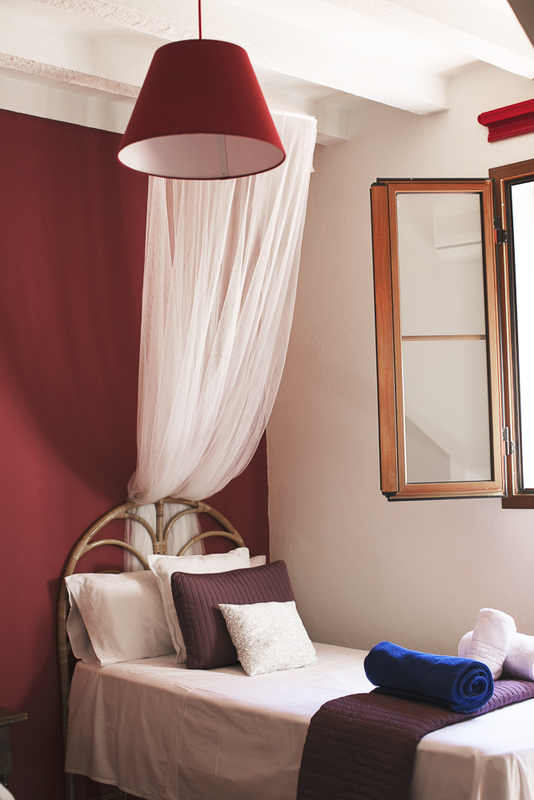 The arrangement and cost of travel is not included in your retreat booking. It is your responsibility to make the necessary arrangements to reach the venue and check what visas or health requirements may be applicable to you. Krish Yoga/The Yoga Pause are not responsible if you or another passenger you are travelling with do not have the necessary documentation for travel, nor are we responsible for any consequences arising from cancellations or delays in travel. Should issues with your travel affect your ability to attend the yoga retreat the cancellation policy will apply (see above). We strongly recommend that you have travel insurance to come on this retreat. 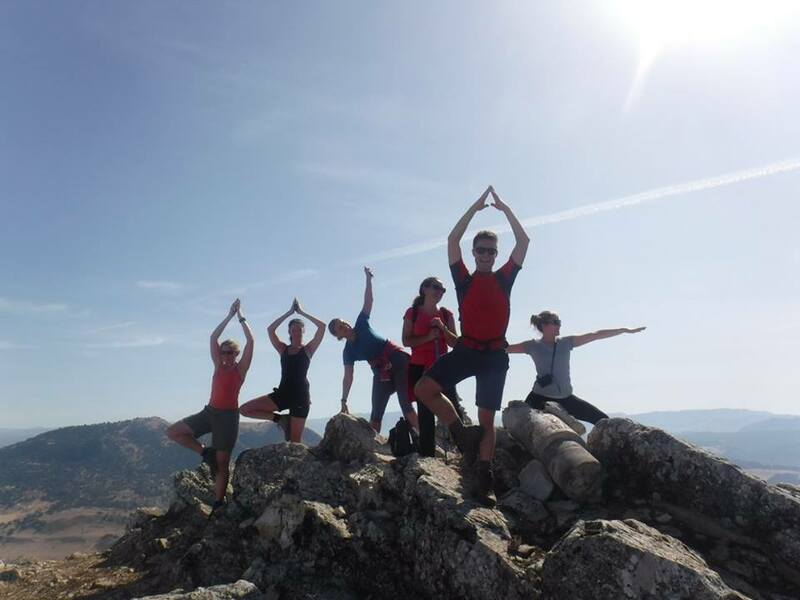 It is your responsibility to have travel insurance that covers yoga and any activities on the retreat that you may book (such as hiking, horse ridding, etc.) as well as potential losses, damages, injuries, illness, cancellations and risks. Krish Yoga/The Yoga Pause are not responsible for injury, loss, damage or theft of personal belongings. Before the retreat begins, we will be sending you an attendee form to gain a better understanding of your yoga experience and any health problems or medical conditions that we need to be made aware of. Krish Yoga/The Yoga Pause reserves the right to advise you not to participate in activities at the yoga retreat if you have any health problems or medical conditions that may be affected by them. If you feel any discomfort, pain or suffer an injury during any of the activities at the yoga retreat, you must stop as soon as possible and inform us. If you continue with the activity and there are chances of further worsening the injury, Krish Yoga/The Yoga Pause reserves the right to deny your stay and participation in the yoga retreat, without refunding your retreat payment. Although Krish Yoga/The Yoga Pause & Lucia Yoga (the venue host) take all necessary measures to ensure high standards of health and safety, some of our retreats may be located in rural areas where it is common to have unevenness in the ground and we cannot be held responsible for injuries suffered as a result of this. We need to be informed of any pregnancies and will only be able to teach yoga to pregnant women who are between 12 – 28 weeks of gestation and will need to work with you to adapt the yoga practice accordingly. It is your responsibility to check with your doctor that you are fit to travel and capable of performing the activities we offer. It is better that any pregnant women who wish to attend the yoga retreat have practiced yoga before. Krish Yoga/The Yoga Pause are not responsible for any illness, injuries or psychological conditions that you may have nor for any possible risks, illness, injuries or psychological conditions that you may develop during the yoga retreat. In the unlikely event of any problems arising during your yoga retreat, please inform us as soon as possible. We cannot be held responsible for the behaviour of individual members of the group but will do our very best to resolve any difficulties. Krish Yoga/The Yoga Pause do not accept any liability for cancellations, threat of war, or delays, changes caused by war, terrorist actions or threats, industrial action, civil strife, closure of airports, technical problems to transport, natural disaster, staff cancellations, unforeseen changes in your circumstances or other events beyond our control.